Sometimes when you are feeling down, or having self-doubt, you see something that makes you instantaneously feel extremely inspired. When I went onto my computer recently and saw what my friends and family were accomplishing, all I could do was smile from ear to ear. It’s a reminder that there are good people in this world, and they are making a difference in their special own way. Nearly 1 million people in Haiti are amputees or have disabilities. They are largely outcast. In many cases their families consider them cursed. Dealing with severe poverty and joblessness, these individuals experience the worst of living conditions. They are disregarded, and even discarded. 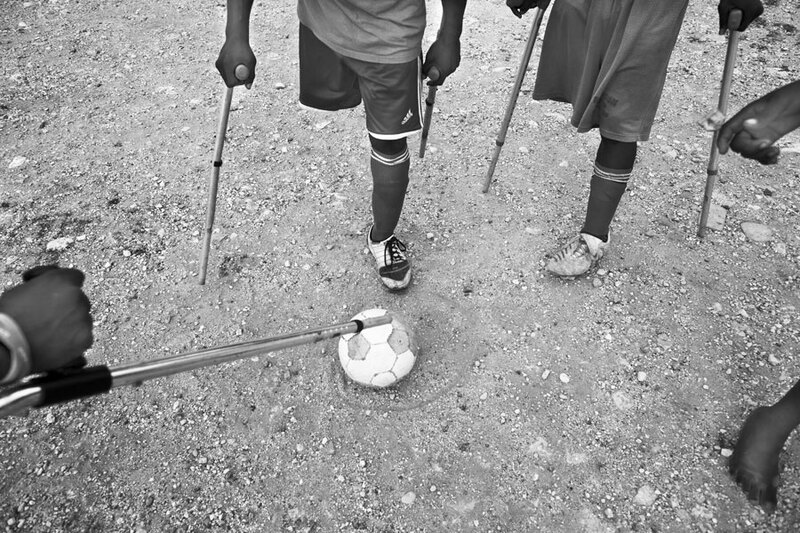 Pursuit of Hope is a feature-length documentary that tells the story of the Haitian amputee football team as they seek a spot in the 2014 World Cup of Amputee Football. More than that, Pursuit of Hope tells the story of team members as they seek acceptance in their own country and desire to become models of hope for Haiti and the rest of the world. Now onto another group of men doing good. For the past couple of years, I have become quite good friends with the Pasadena Fire Department, in particular Fire House 31. They have been super helpful whenever I needed them for anything – helping get rid of a crazy huge wasps nest in my doorway – help get my keys that I locked into my 2nd story apartment unit – star in a promo video for a contest I was competing it – and so much more. One firemen, Tony Zee, has been a huge supporter of mine ever since I met him. He is always smiling and inspired by accomplishments, but I am also of his. He is an individual you know is genuinely such a kind-hearted and caring individual. He has two wonderful young daughters, and a beautiful wife. The Fire House 31 was just recently featured on segment for ABC 7 Eyewitness News in Los Angeles. They focused on the department’s participation in the ‘Movember’ movement to raise awareness mainly for men’s health issues such as testicular and prostate cancer. I am so happy that they are participating in raising awareness for these persistent issues for men. From this video segment, I learned that my friend Tony had battled cancer. I had had no idea! He battled non-Hodgkin’s lymphoma, which unfortunately took the lives of close to 19,000 individuals in the United States in 2014 (cancer.gov). He stated that it is one of the top cancers for firemen, and as a survivor, he feels like he should promote and make other firefighters aware of cancers in the fire service industry. Thank you Tony for spreading the knowledge! So keep your eyes open, and appreciate those all around you who are doing something to make the world a better place. You have always been willing to give to your community, whereever you might be residing. Keep up the good work to make our world a better place to live, and continue to inspire others, especially the young ones so that they may make changes for the better….